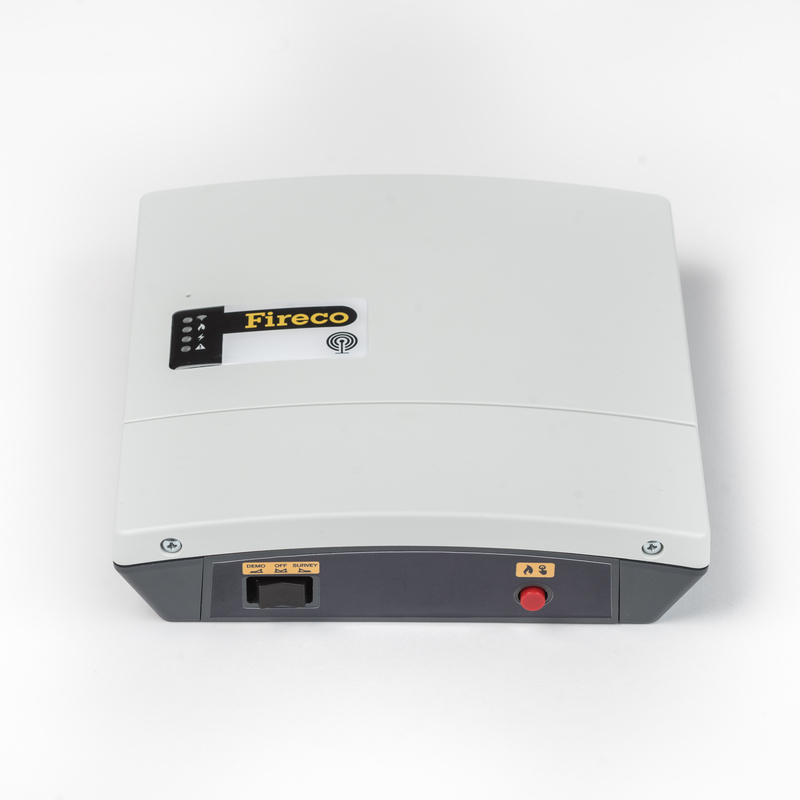 Here at Avon Fire Systems, we are a exclusive installer for Fireco and therefore have access to the latest range of Dorgard products. Fire Doors are an integral part of any fire strategy. Their presence will ensure the containment of fire, smoke & fumes but they are inherently large and obstructive. Furthermore; their safe operation is compromised as soon as they are ‘wedge’ open. 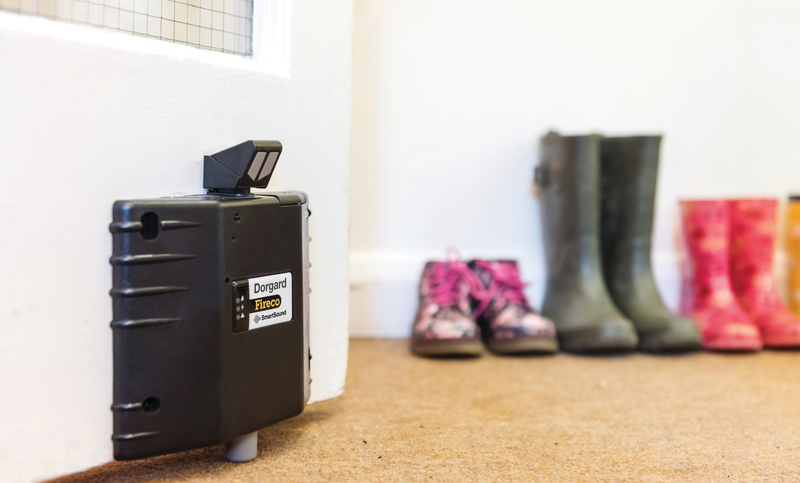 This single action can contribute to the spread of fire and fumes throughout a building which can lead to critical consequences. 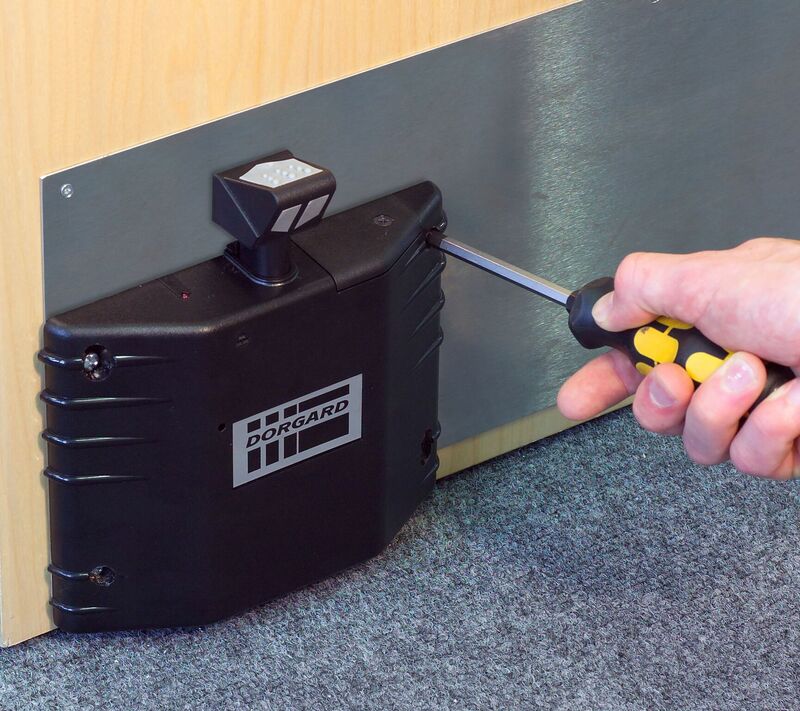 Electro-Mechanical Door Retainers are the recognised means of allowing fire doors to close when the fire detection & alarm system is activated. 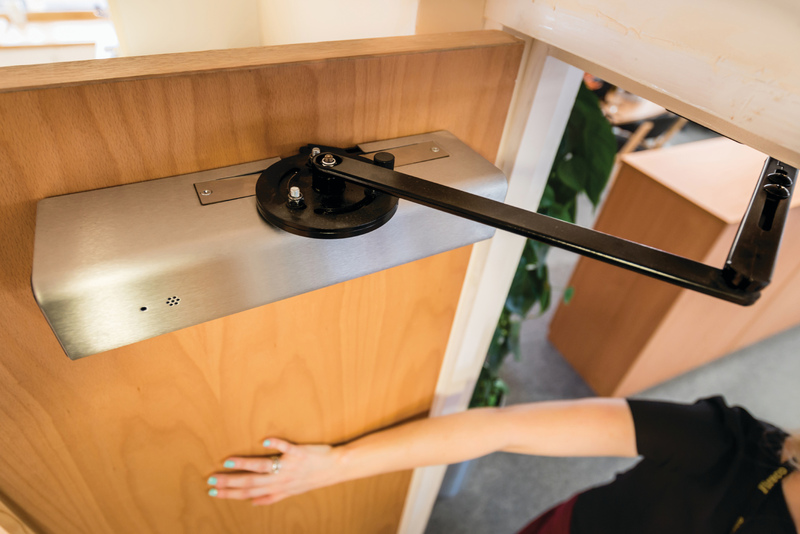 Door Détente Systems keep doors ‘open’ to allow free access by personnel and free flow of air for comfort ventilation without compromising a Building’s Fire Strategy. 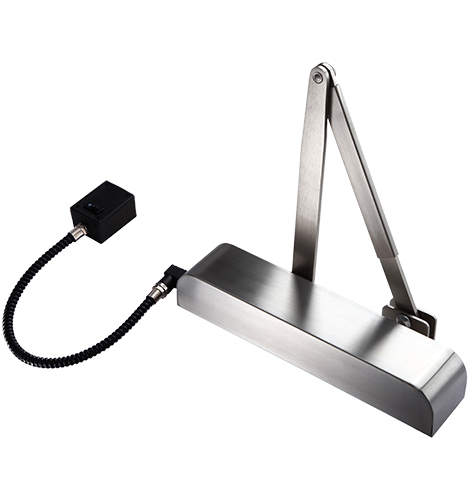 These simple devices allow the doors to close to a ‘safe’ position and prevent the spread of smoke & flames. 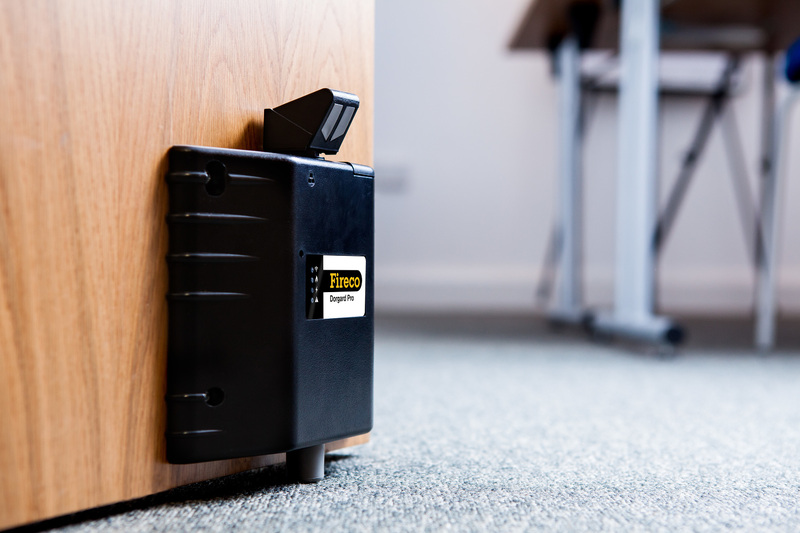 Avon Fire Systems are recognised installers of numerous products to assist with maintaining the integrity of the ‘Escape Routes’ of a building. 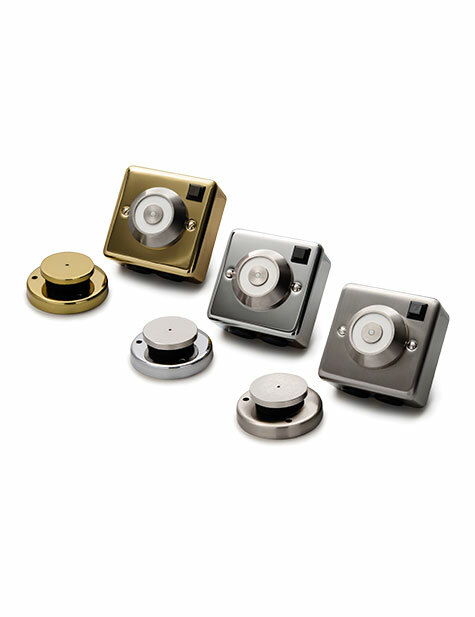 Our selection of hard-wired and wire-free products possess the ability to cater for Retro-Fit applications as well as New Installations. 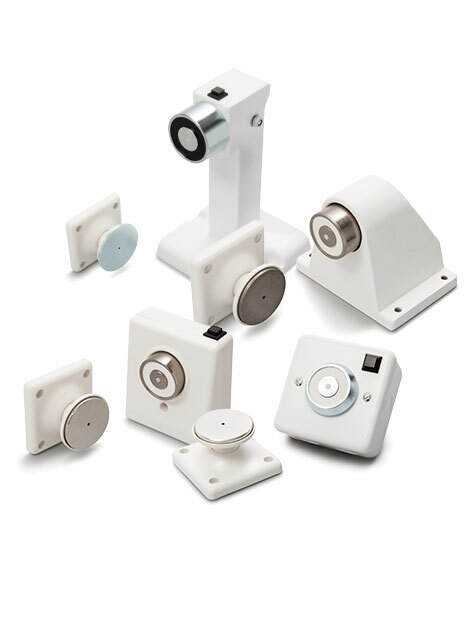 Avon Fire Systems would be delighted to dispense advice or liaise with your Fire Risk Assessor to achieve a practical and compliant solutions to your needs.